Pulitzer Prize-winning journalist Ron S. Suskind helped right the menorah after its toppling. On the fifth night of Hanukkah, dozens of Harvard affiliates and locals gathered in Cambridge Common to light candles on a large silver menorah four days after an unidentified man deliberately knocked it down. Cambridge police termed the Sunday incident a “possible hate crime” after witnesses reported seeing a man dismount a bicycle and push the menorah to the ground. 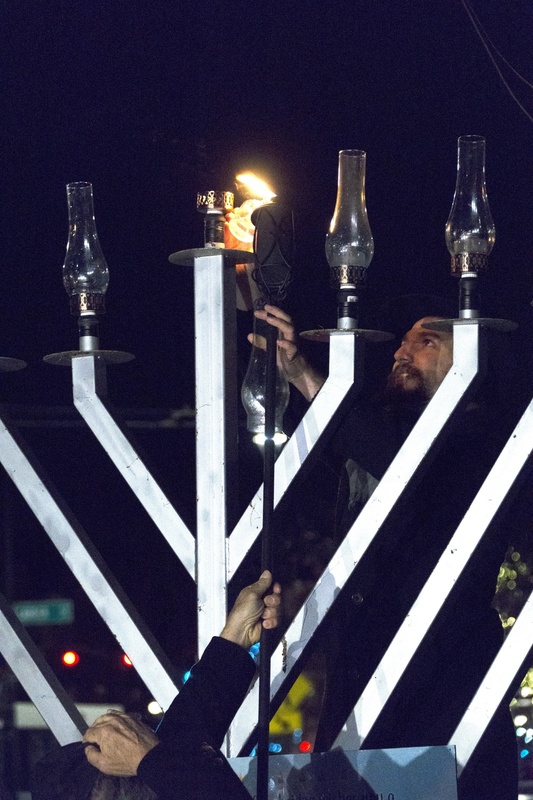 Thursday’s gathering marked one of two events held after the toppling of the menorah, placed there every winter for the past 19 years by Harvard Chabad. Chabad students also held a candle lighting earlier this week on the Widener Library steps. Sunday’s incident comes amid a rising tide of anti-Semitic events in the United States. On Oct. 27, 11 people died and six were wounded in a mass shooting at the Tree of Life Synagogue in Pittsburgh, Penn. The Anti-Defamation League reported that anti-Semitic events increased by 60 percent last year, marking the largest single-year spike on record. Harvard students and Cantabrigians gathered at Cambridge Commons to hold “a show of unity” after a man toppled the Menorah on Sunday. 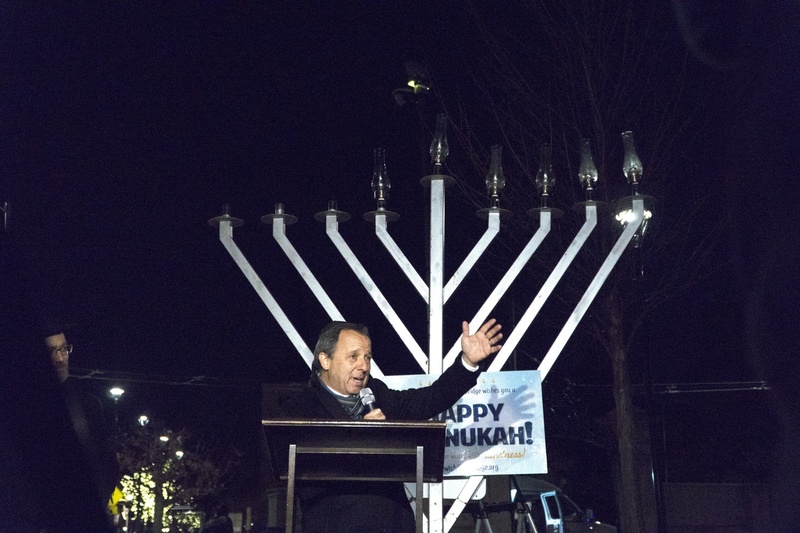 At Thursday’s lighting, Cambridge Mayor Marc C. McGovern thanked the Cantabrigians who pushed the menorah upright, including Harvard affiliate and Pulitzer Prize-winning journalist Ron Suskind. After seeing the menorah on the ground Sunday afternoon, Suskind and several others worked to restore the menorah while waiting for the police to arrive. McGovern presented Suskind and the other menorah-savers with certificates honoring their service to the city of Cambridge. Several speakers at the event, including Suskind and McGovern, said they saw Thursday’s candle lighting as a show of unity. 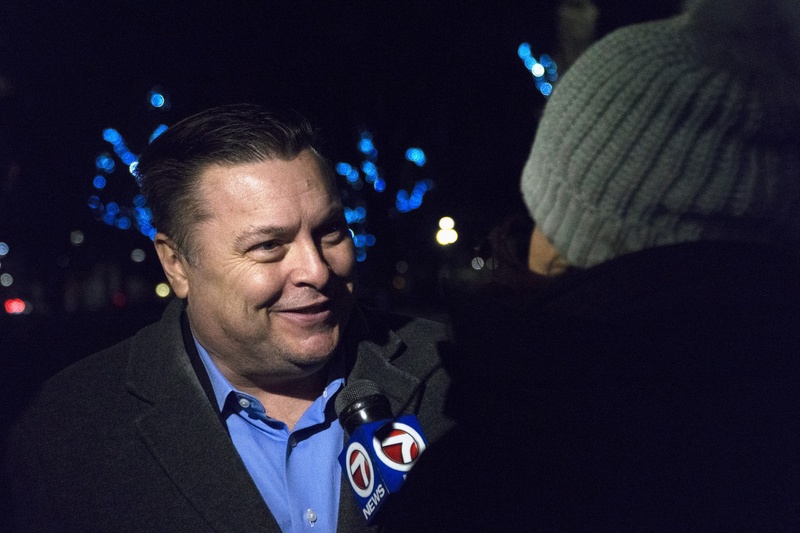 Cambridge mayor Marc C. McGovern speaks to a reporter at the menorah lighting.